January 2016 – Sue's Reviews. 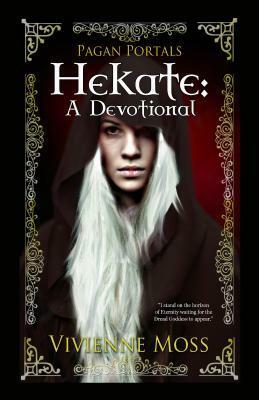 Review of Hekate: A Devotional. Right at the beginning of this book the author says “This is not an academic tome, nor one that is set in historic tradition” Immediately I knew this book would be an enchanting read. Quite often books that are written about deity are very heavy with academical language or historical facts and that can very often make them hard going. This is very much a personal journey, a sharing of what the author has felt in her own devotions to Hekate through her rituals. I found that the book reads very much like a blog, and that, for me, was a huge plus. Quite often, when a book has been written on such a topic, there can be a patronising, authoritative tone to it and if you are not looking for that kind of read it can be rather off-putting. This style allows the words to flow and the reader can enjoy the book without it feeling like it is too instructive. I must admit, I know very little of this goddess and it was interesting to learn so much about her in this way. The book has so much information which is presented in an easy style, it makes it a joy to read. If you are looking for lots of historical facts, then you won’t find that here. Nor will you find an academic tome that hits you with facts that have been gathered from an educational point of view. If that is what you are looking for then this book is not for you. It is full of personal stories and experiences, which I find is a much better way to get to know any Goddess or God. The book is listed as part devotional, part Grimoire and I think that will appeal to a lot of readers who don’t want to contend with the heavy weighted academical, historical writings that such topics tend to offer. A lovely read that offers lots of ideas and information. 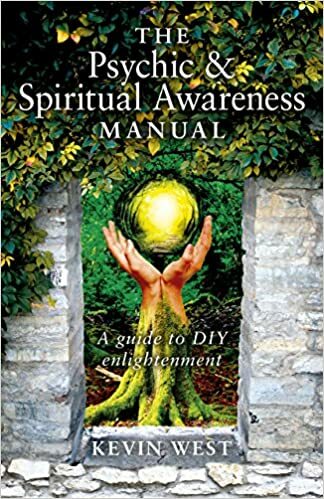 Review of The Psychic and Spiritual Awareness Manual. This book is a comprehensive guide to psychic and spiritual awareness. It offers an in depth explanation into this subject, so if you are just beginning on this path you will find this book offers you so much. It isn’t only for the beginner though, if you have been on this path for a while there is still plenty of content for you to get your teeth into. The book can offer a fresh approach to areas where you may find you have become blocked upon your path. There really is something for everyone in this book. At the end of each chapter there are exercises for you to do, giving you the opportunity to practice what you have learnt. This gives the book a very hands on feel, allowing the reader to develop their skills as they go through the book. This is a very useful tool, especially if one does not have the means to engage with spiritual teachers or groups. The book is set out in such a way that it allows the reader to get right to the heart of the subject that is being discussed. The author uses clear and concise language, not at all patronising, which I always think is a plus. A very helpful guide for anyone who wishes to learn about this subject. Review of The Feathered Bone. The Feathered Bone is a novel by author, Julie Cantrell. The story starts off in a rather gentle manner, although the undercurrent of “something big” about to happen is never far from the surface. The story centres around Amanda Salassi, the mother of sixth grade student Ellie and the chaperone of Sarah Broussard. Ellie and Sarah’s sixth grade class are on a field trip to New Orleans and the first couple of chapters deal mainly with this part of the story. There are a lot of references made to slavery and being held against your will and this is where I got the sense that the “something big” would feature heavily. The story is set in rural Louisiana, in a town called Livingston Parish which is fondly referred to as LP. The first couple of chapters see the action taking place in New Orleans, pre Katrina, and despite the shady characters that are mentioned, one in particular being pivotal to the events that happen, there is a feeling of innocence about the action that takes place in these opening chapters, the characters – the mothers and their children and their teacher – have an air of innocence about them that makes what’s to come all the more harder to take. Once Sarah disappears the action seems to intensify, gone is the sleepy town feel about this story, replaced by the murky, criminal underworld that taints everything and everyone. Amanda blames herself for Sarah’s disappearance, she was the chaperone after all. Beth and Preacher, Sarah’s parents and very good friends of Amanda’s are frantic but they don’t openly blame Amanda, or Ellie, for that matter. This story is not so much fast paced, but it is big on action. During the five years that Sarah Broussard is missing the book deals with the sexual abuse she is forced to suffer, the thought process that she goes through, documented in a series of journals she writes. It also deals with Domestic Violence, depression, Hurricane Katrina and the aftermath of that, teenage depression and suicide, betrayal, grief and the long road to recovery. The book deals with Amanda and Sarah’s faith in God, stressing how this faith is instrumental in seeing them through the worst five years of their lives. The book is highly emotive and will leave yo with some very powerful and disturbing images. One review I have read described it as graphic but I don’t agree, there are no graphic scenes in this book, the author tells the story through Amanda and Sarah’s eyes and it is often what is not said that conjures up the images relating to the story that I found I was left with. I am not going to lie to you, this book is heart-wrenching on so many levels and from so many points of view. It seems that every page in this book is drenched in pain and suffering. But amongst the pain and heartbreak there always felt, to me anyway, that hope was never far away. Granted, it was a long time coming and some of what Amanda had to go through was so very painful, but hope remained on the horizon. For Sarah, hope was all she was left with. Her situation is so awful but her faith kept her hope alive and that is what got her through the dark times she was forced to endure. The book is heartbreaking. It is so full of pain and suffering, the characters are engulfed by an air of despondency that you can almost feel it yourself. What Amanda and Sarah go through is quite simply unimaginable and as the reader you go through the gamut of emotions with them. But hope is forever making its presence felt, even at the darkest of times, the feeling of hope is there and you cling to that hope, just like the characters in the book do. I never lost hope that Sarah would be found. I never lost hope that Amanda would wake up to her abusive husband. Those two points really drive the story forward. About halfway through we are hit with a massive plot twist that literally floors you. I kept hoping it would be a dream, a cliched plot twist I know, but I am an eternal optimist. What happens is so awful you are literally forced to feel the emotions Amanda feels, and this hits you hard because you probably don’t see it coming. A very powerful and heart-wrenching story that you just want to continue reading. The author deals with the contentious issues beautifully, and I believe that is because she doesn’t get too graphic in her detailing of these situations. This book will definitely make you stop and think. This book will definitely leave you emotionally drained, mostly because you become so invested in the story that you feel the pain and grief and suffering along with the characters.